Tiny Himalayan state of Sikkim is surrounded by vast stretches of Tibetan plateaus in the north; the Chumbi Valley of Tibet and the Kingdom of Bhutan in the east; the Kingdom of Nepal in the west and Darjeeling district of West Bengal in the south. Sikkim is home to around 5,000 species of flowering plants, 515 rare orchids, 60 primula species and 36 rhododendron species. Hence, the state is a leading cultivator of floriculture in the northeast region. It supplies cut flowers to the mainland consumers. Tourism is the main revenue earner of the state as it attracts thousands of domestic and foreign visitors with its snow-capped peaks, glaciers and valleys offering exotic views. The GSDP of Sikkim expanded at an annual growth rate of 24.4% between 2004-05 and 2012-13. At current prices, Sikkim's GSDP was estimated at $2 billion in 2013-14. It has the third smallest GSDP among the 29 states in the Indian union. In 2013-14, the state's outstanding investments reached $4.4 billion. Despite the state's minimal industrial infrastructure, Sikkim's economy has been among the fastest-growing in India since 2000. The state's GDP expanded by 89.93% in 2010 alone. Sikkim plans to become the first state in India to transform its agriculture into an entirely organic cultivation by 2015. Around 24 hydropower projects with combined production capacity of around 6,000MW are under various stages of development. The conservative estimate indicates Sikkim's income from these power plants to be Rs 900 crore per annum by the end of 12th Plan period (2012-17). In recent years, the government of Sikkim has extensively promoted tourism. As a result, state revenue from tourism sector has increased 14 times since the mid-1990s. Compared to the arrival of 29 lakh tourists in 11th Plan period, the state has targeted 50 lakh arrivals during 12th Plan. Sikkim recorded 22.8% growth in its GSDP during 11th plan period against the target of 6.7%. The per capita income has also increased to Rs 81,000 from 37,000 during 11th Plan period. The state's economy is largely agrarian, based on the terraced farming of rice and the cultivation of crops such as maize, millet, wheat, barley, oranges, tea and cardamom. Sikkim produces more cardamom than any other Indian state, and is home to the largest cultivated area of this spice. Large production of cardamom and flowers has opened up new opportunities to further develop the state economy. Because of its hilly terrain and poor infrastructure, Sikkim lacks a large-scale industrial base. 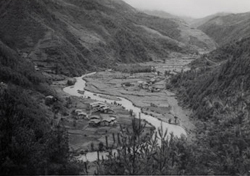 Brewing, distilling, tanning and watchmaking are the main industries, and are mainly located in the southern regions of the state, primarily in the towns of Melli and Jorethang. In addition, a small mining industry exists in Sikkim, extracting minerals such as copper, dolomite, talc, graphite, quartzite, coal, zinc and lead. Rail and air connectivity as well as optical-fibre networks are being developed in the state to woo industries. Sikkim comes under the ambit of North East Industrial Investment Promotion Policy 2007 which provides many incentives and concessions for investment. The state has further invested in a fledgling gambling industry, promoting both casinos and online gambling. Sikkim's first casino, the Casino Sikkim, opened in March 2009, and the government subsequently issued a number of additional casino and online sports betting licences. The Playwin lottery has been a notable success in the state. The opening of the Nathu La pass on 6 July 2006, connecting Lhasa, Tibet, to India, was touted as a boon for Sikkim's economy. 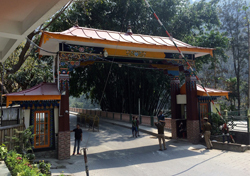 Trade through the pass remains hampered by Sikkim's limited infrastructure and the restrictions on the number of traded goods across the border. However, the volume of traded goods has been steadily increasing. The institutional support is provided through various central and state government agencies viz. North East Council, Ministry of Development of North Eastern Region and Commerce and Industries Department. The Commerce and Industries Department of Sikkim is involved inpromoting trade and industry in Sikkim. The Sikkim Industrial Development and Investment Corporation Limited (SIDICO) is a state-level body engaged in promoting, financing and developing the tiny and small scale industries (SSI) sector in this landlocked hilly region. Ecotourism, handicrafts and handlooms, silk reeling and processing, precision engineering, electronics, IT, medicinal plants, floriculture, tea, spices, honey and biotechnology are key areas identified by Sikkim. Sikkim government has announced a technical collaboration with floriculturists from the Netherlands and Thailand to develop the state's potential in floriculture and market cut flowers across the world. 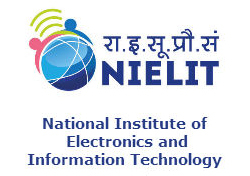 The Department of Information Technology is in the process of setting up an IT park and National Institute of Electronics and Information Technology (NIELIT) at Pakyong. The IT Park will have state-of-the-art facilities that will offer a plug and play environment and cater to the specific needs of the IT and business process outsourcing (BPO) segments. Inorder to give a boost to handloom and handicrafts sector, the Sikkim government has been making several efforts which include providing training to upgrade the quality and designs of the products; bringing expertise and professionals for their marketing and supply. The Sikkim government has plans to set up Tea Development Corporation which would be the nodal agency for developing the tea industry in the state. It would work to expand the Temi tea estates in the state and acquire new gardens either wholly or partially owned by the government. The Spices Board has proposed to replant 5,000 hectares and rejuvenate 2,500 hectares of large cardamom in Sikkim during the 12th Five Year Plan.